Since I have Arkel rear panniers, there was no straps and buckles on my pannier, so I decided to add them. And if you decided to go with a similar setup, you can do the same. 1. 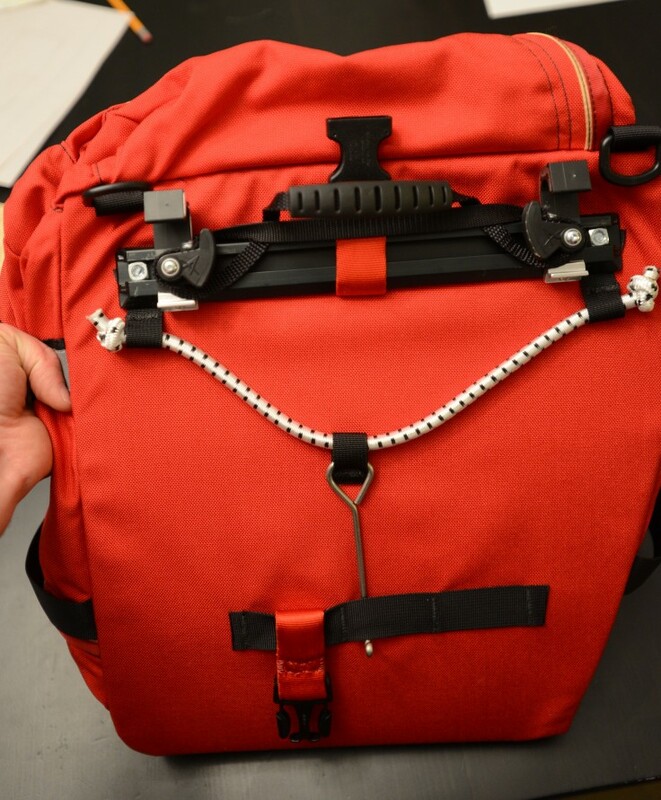 Loop the strapping around the aluminum rail and attach a female buckle. Stitch the strapping together. 2. On the rear of the pannier there is a short length of black nylon strapping for the metal hook of the fastening system of the pannier. Use this to loop a short length of new strapping for the male buckle and stitch together. 3. 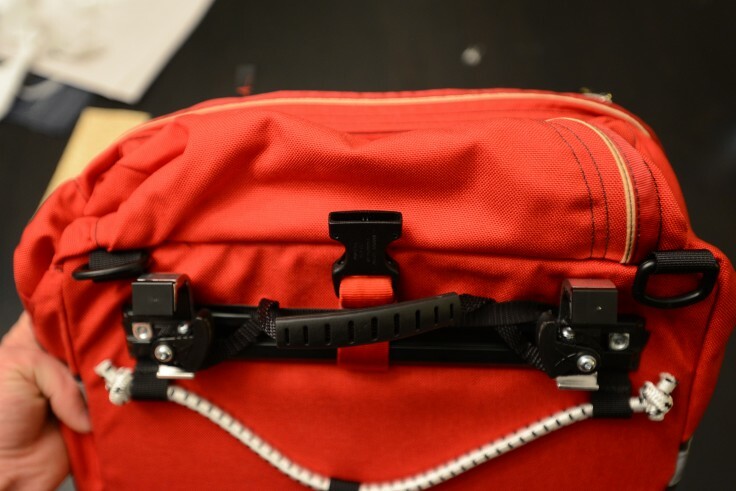 Create a strap which will loop from the bottom of your pannier to the top, with a male on one side, and a female on the other to connect the two buckles you stitched on in steps one and two. That’s it. It’s fairly simple, and it only takes a little bit of time to put together. 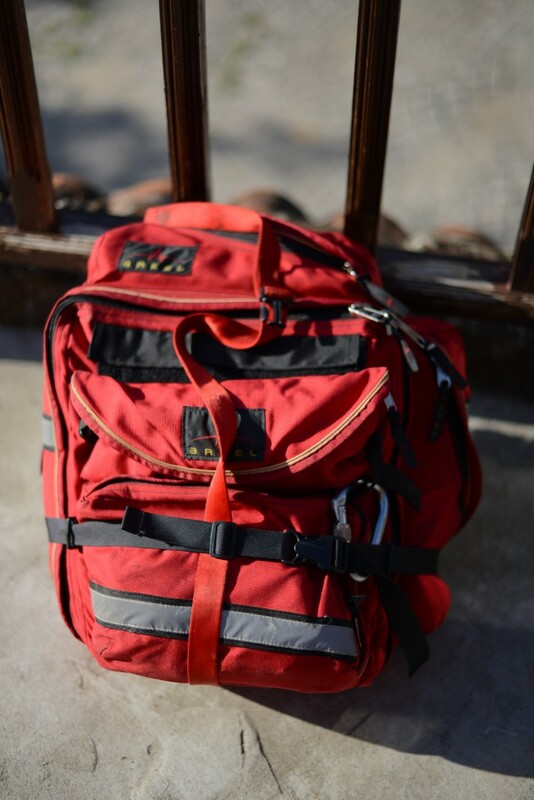 In the end you will be able to fix a rackpack securely to your panniers, and have massively increased what you can carry on your bike. 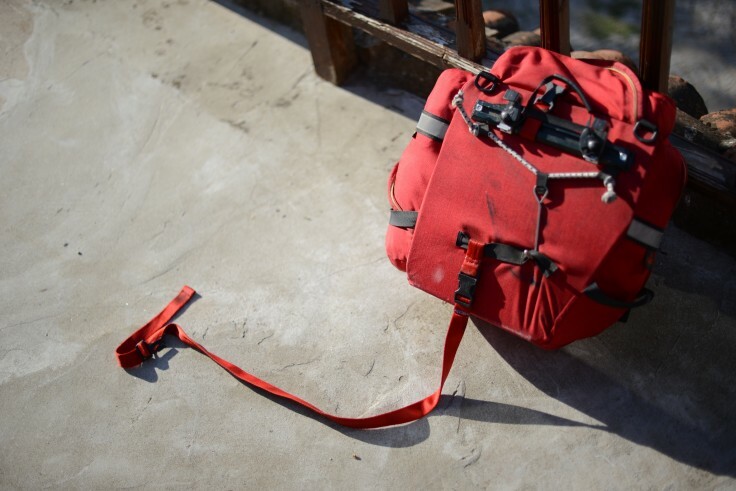 The strap can also be used without the rackpack and you can fasten things between it and the panniers, such as your rain jacket or a bottle. 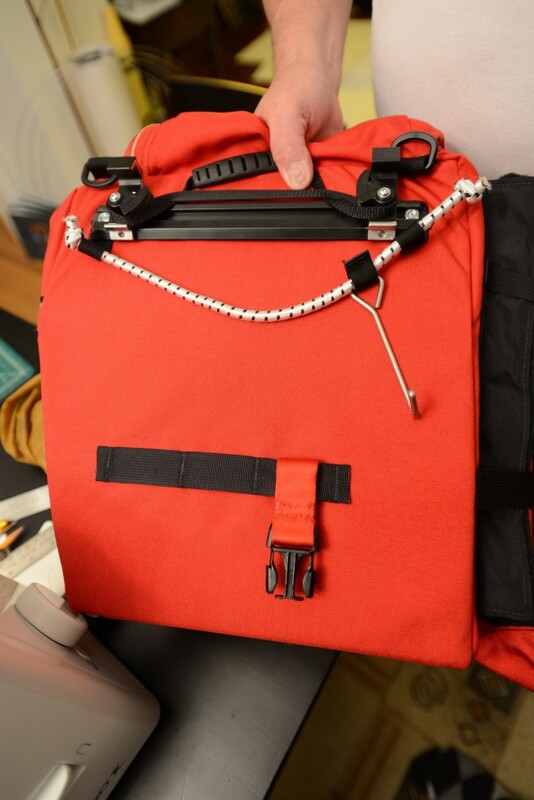 You can also remove the strap altogether from the top or bottom, and since the strapping is looped and stitched to itself, all the buckles for the rackpack attachment can be removed at anytime without any damage or wear to the panniers. Hi, I like this idea, but I don’t understand why the buckles are on the same bag. Doesn’t that pull the rack sack to one side? If you put a buckle on each of the left and right cam rails, wouldn’t that simplify it, make it more sturdy, and need less strap? Thanks for the great tip all the same! I just got these used and am looking forward to some touring in QC and ON.